Sylvia Hernandez Kauffman, the first woman in state history to be named Inspector General for Texas Health and Human Services, was born and raised in Brownsville. Her reappointment to the office, by Gov. Greg Abbott, was confirmed by the Senate on March 6, with her term set to expire Feb. 1, 2020. Kauffman was first appointed to the job in January 2018. 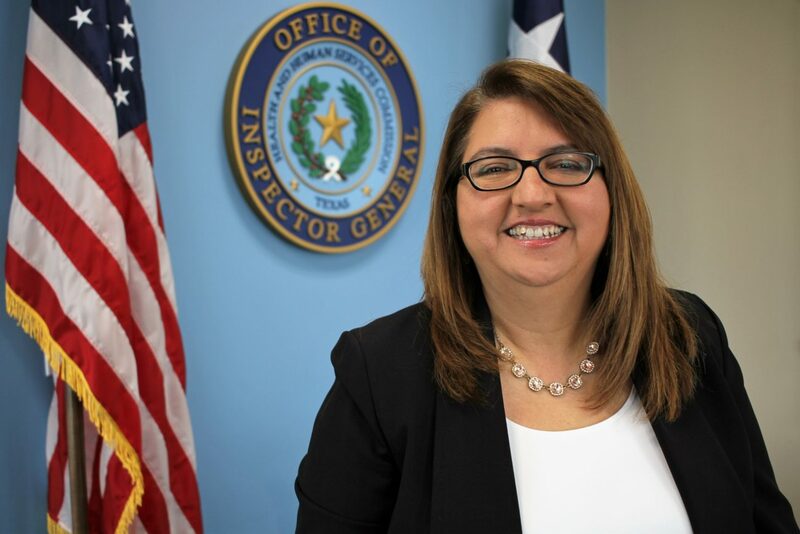 As inspector general, she leads a team of 600 people and is in charge of efforts to detect, deter and prevent fraud, waste and abuse in Medicaid and other contract programs for HHS. Kauffman graduated from Gladys Porter High School as a valedictorian, earned a bachelor’s degree in computer science from Stanford University and a public policy master’s degree from Harvard. The first member of her family to attend college, Kauffman told The Brownsville Herald in a phone interview that she loves what she’s doing and feels she’s breaking new ground in what historically has been a male-dominated field. Given the nature of the work, the position tends to attract prosecutors, the majority of whom are males, Kauffman noted. Her approach to the job is different as well, relying on efficient data-analytics and pattern identification as opposed to traditional, man-hour-intensive investigations, she said. Red-flagged providers receive a 24-hour notice and then a visit from the Office of Inspector General, she said. Kauffman previously served as interim inspector general, and before that principal deputy inspector general. She’s in her seventh year with HHS. Kauffman has also worked for the state of Massachusetts’ information technology division, and for the Office of Management and Budget in Washington D.C. She has more than 18 years of experience in data and IT in the public and private sectors. Kauffman said her approach to the inspector general position isn’t just more efficient in general, it’s also a natural extension of how she sees the world. And yes, it’s fun, and exciting, she said.